The Amicale Internationale KZ Neuengamme (AIN) is an international association of the national organizations of survivors of the Neuengamme concentration camp as well as the families and friends of former prisoners of the Neuengamme concentration camp. Founded in 1958 by organizations from Belgium, France and West Germany, soon other national organizations joined the AIN. Among them organizations from Denmark, the German Democratic Republic (East Germany), Yugoslavia, the Netherlands, Austria, Poland, the Soviet Union, Czechoslovakia and Hungary. 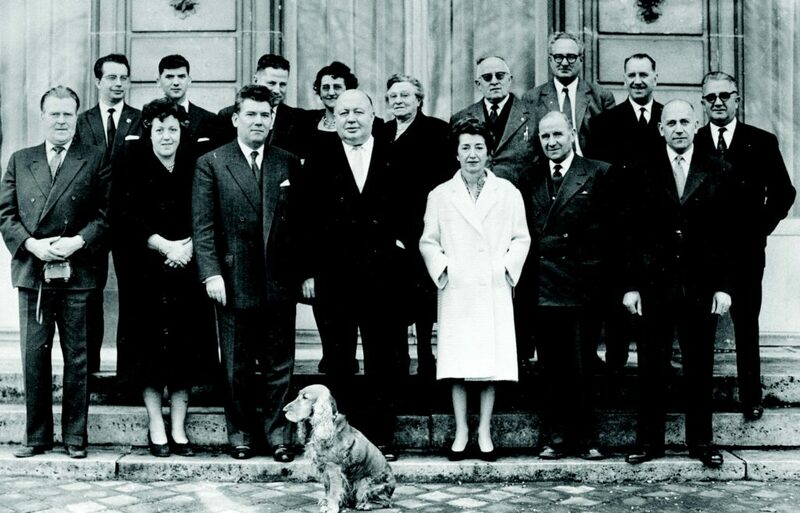 Representatives of the AIN, 1960. In the center: Renée Aubry, president of the AIN from 1972 to 1990. Archive Neuengamme Concentration Camp Memorial. Inauguration of the international memorial, 1965. From the estate of Hans Schwarz, general secretary of the AIN from 1958 to 1970. Archive Neuengamme Concentration Camp Memorial. 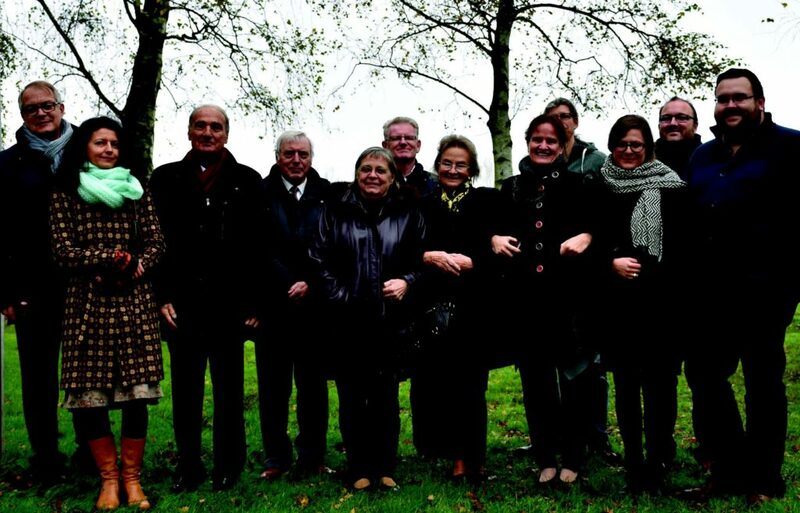 The Amicale Internationale KZ Neuengamme played an essential role in establishing a memorial on the grounds of the former concentration camp. They started with the international memorial on the premises of the former camp’s plant nursery. 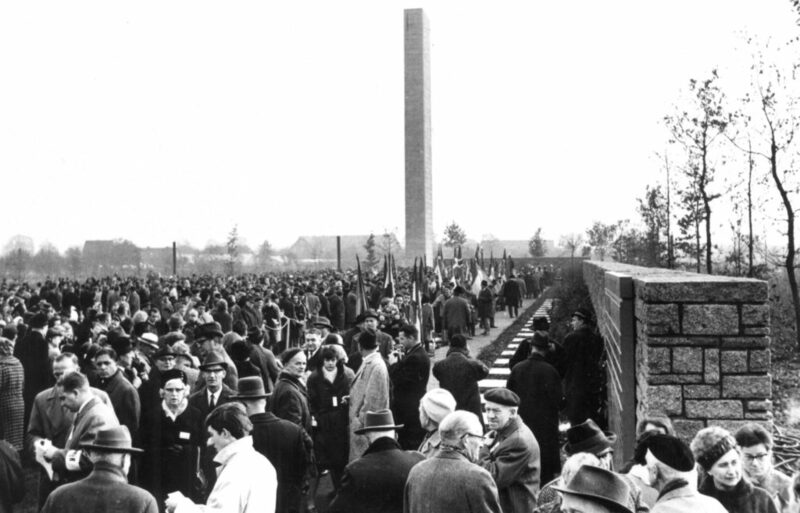 More than 1800 former concentration camp prisoners and their relatives attended the memorial’s inauguration in 1965. For several decades representatives of the AIN demanded that a dignified memorial would be built where the concentration camp Neuengamme had stood. In 1989, the government of the federal city state of Hamburg decided to relocate the prison Vierlande, which had been built on the premises of the prisoner’s camp and to enlarge the area of the Neuengamme Concentration Camp Memorial. When this decision was in danger of being revoked by a new government in 2001, the AIN played an important role in the international protest. Finally, one of the main goals of the AIN was reached in 2005 when the concentration camp memorial was inaugurated in today’s form. 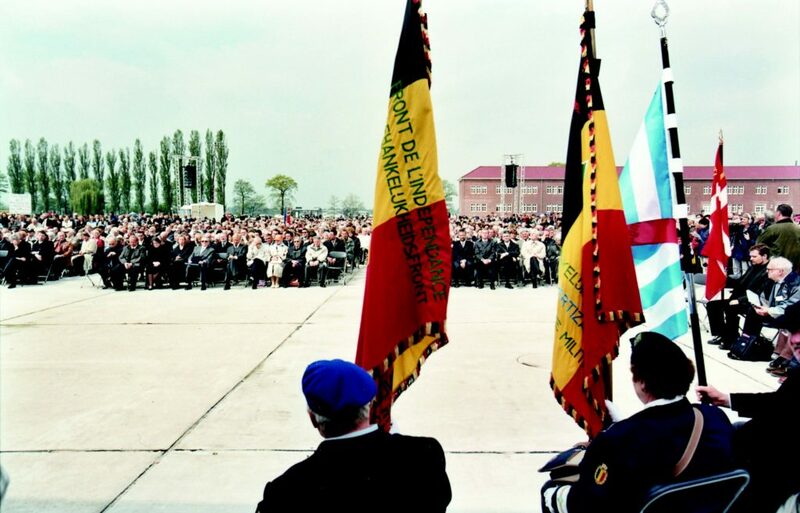 Commemorative ceremony on the occasion of the 60th anniversary of liberation, taking place in the redesigned Neuengamme Memorial. Archive Neuengamme Concentration Camp Memorial. Meeting of representatives of the AIN from Belgium, Denmark, France, Germany, Netherlands and Poland, Hamburg 2017. Archive Neuengamme Concentration Camp Memorial. Over 70 years after the end of World War II and the liberation of the concentration camps, the work of the board of the AIN now lies in the hands of the children and grand-children of former prisoners of the Neuengamme concentration camp and its satellite camps. They continue the international collaboration of the national associations: They speak up for the memory of nazi crimes and discuss the future of remembrance as well as the importance of the transmission of memory in families and societies. The Amicale Internationale Neuengamme consists of different member organizations, spread out over various European countries.